The Government will not slash fuel prices despite the current slump in international fuel prices and will wait till July 5 to make revisions if necessary. The Government has announced that the fuel price mechanism was in place since its announcement on May 11 and will wait till July 5 to make the revisions, Deputy Secretary to the Treasury (DST), Sajith Attygalle told Ceylon FT yesterday. “We will not be making revisions on a daily basis unlike in India, but will make it every two months. The decision to revise the prices upward or downward will depend on prevailing prices at that time”, Attygalle explained. 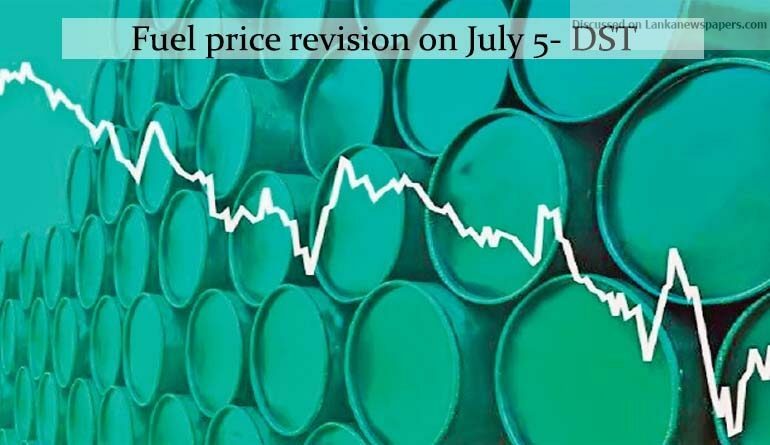 “We will be sitting down to decide on prices on July 5 and the present prices will also be reflected in the new prices where we will take the average”, he said. “There will be due consideration to the prevailing exchange rates as well and those will be the two variables”, he added. “The Treasury will take into account the daily Brent prices which will be the crude prices and the Central Bank middle rate or the spot rate for 30 days or 60 days and divide it and take the average which means the current reduction will also be captured” , he said.